Safety for all participants is the prime concern of the ACC. Please obey all traffic laws and regulations. 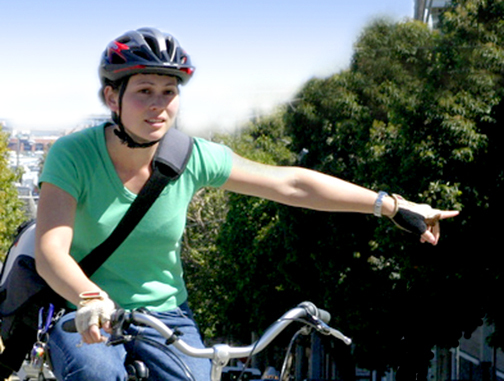 We suggest using bike helmets, carrying water bottles and wearing bright clothing for general visibility and safety. Be safe – be seen! If you are accompanied by a personal SAG Wagon, make sure it stays off the routes and meets you only at food stops. Only the ACC provided SAG Wagons should share the tour routes with the cyclists. Every effort is made to make the ACC both enjoyable and safe. Please practice safe riding habits. Be aware and be courteous! Always stay to the right on the roads. Cross when road is clear! Ride no more than two abreast. Ride single file when vehicle traffic is present. Be aware of traffic both in front and behind you. Give vehicles plenty of safe room to pass and cross cycling traffic. Be careful of younger riders on the mixed sections of the cycling routes. Keep your children safe by keeping them with you & making sure they know the rules of the road. Faster riders passing from behind on left, move to single file and keep children out of cycling traffic. Local traffic approaching from behind. Move to single file and to right until traffic passes. Car approaching from ahead, be aware of traffic approaching on narrow roads & around corners. Call out for road hazards on road for riders. Be extra cautious!